Hello, I thought I would share a little bit of my 1 to 1 collection, shop and Raceway. 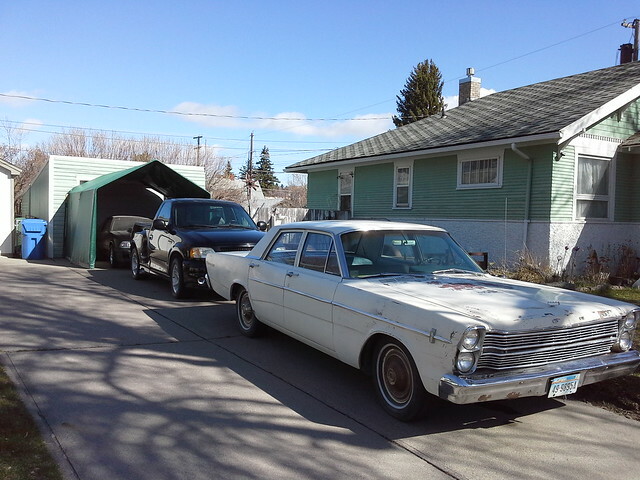 Yep, they are all Fords, except for the one, which has ford parts on it from the factory, (so it counts, ha ha). if you notice everything is a little crusty, like me! It's been a long winter this year. Track is run on 19 volts with 7 amps and dynamic breaking. 47' in total length with 10' 3- 3/4" drag strip. 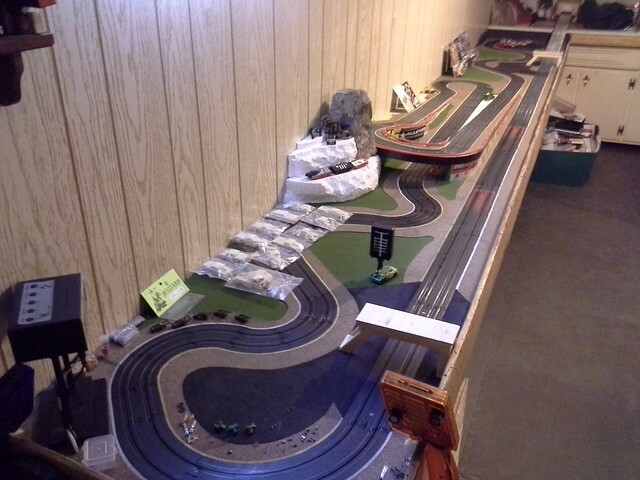 Road course and dragstrip timed by Slotdragon. Right on Gnome!! I second that...thanks for sharing. I grew up with Fords and blue still pumps through my veins, But I only own one now and it's just a beater. The rest are GM products which is my second choice and one ricer Mazda RX8 that I inherited from my son. 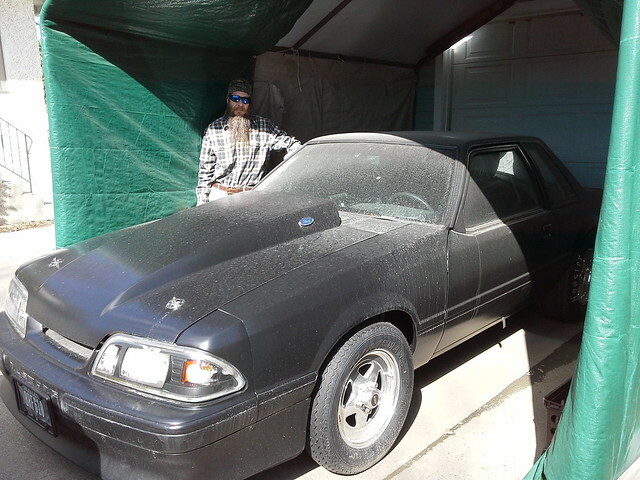 That one is my daily driver....but don't tell anybody lol. 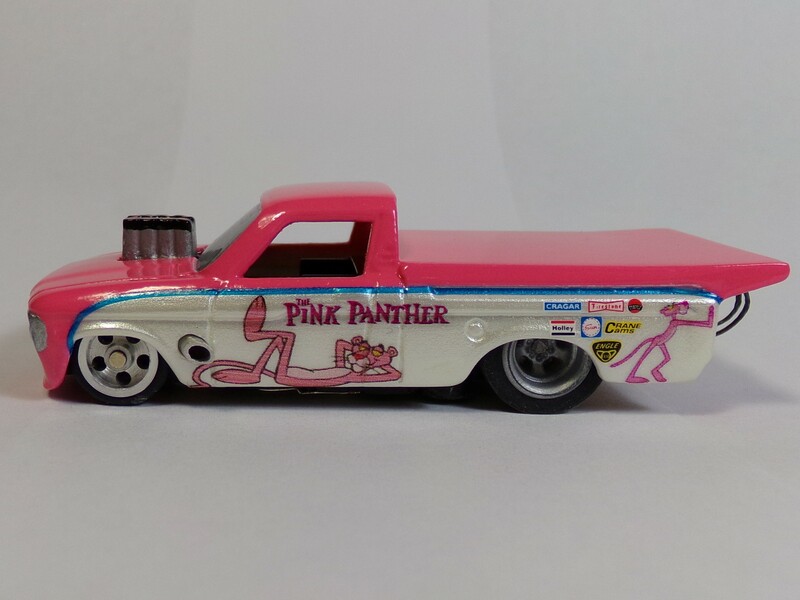 I have had nothing but Chevies for the past 20 years or so but I like all the American cars. Have owned just about every American brand at one time or another. I have a big dislike for the Asian cars however. Go the Fords!! 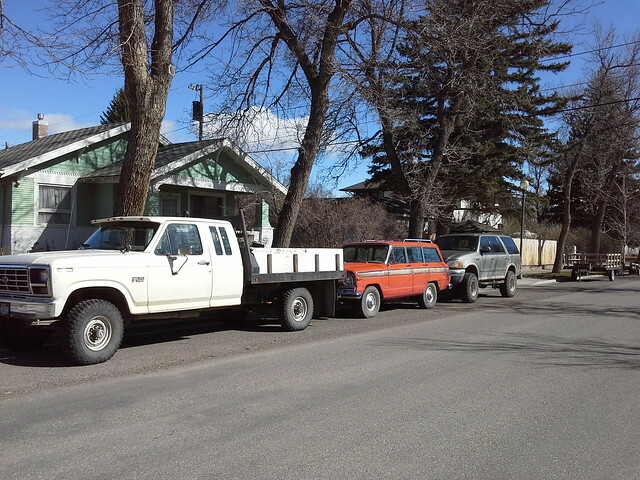 Great looking fleet of Fords gnome. The big four door is cool. Down here we like our four cars. Here are the 2 fastest cars I ever owned. 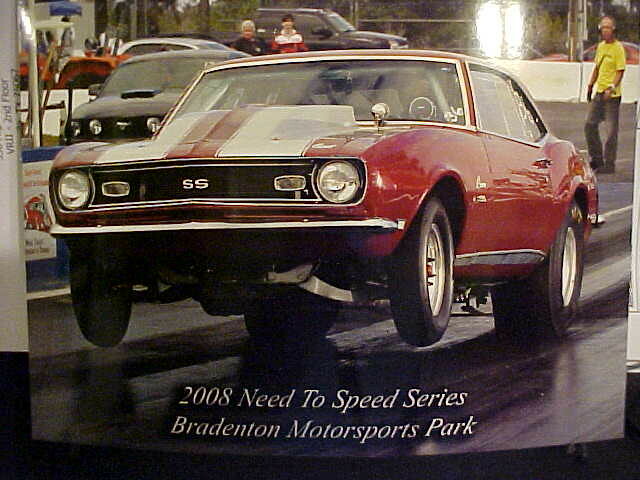 First is a 68 Camaro which had a big M 632 in it with a single King Demon, mid 5s @ 135 in the 1/8th. The second is a Beretta with a Keith Black aluminum 632, big chief's and 2 1150's on a sheet metal intake, mid 4s @ 153 in the 1/8th. I really like the camaro picture,wheelies look cool !!! Must of had a big sway bar?the car looks nice and flat with no twist in the chassis, 632 would want to twist anything always been impressed with those engines .have any action shots of the beretta? The Camaro had ladder bar suspension the Beretta had a 4 link with a rear anti roll bar. I have some action shots of the Beretta will have to locate them as they were on the now defunct Photo bucket. 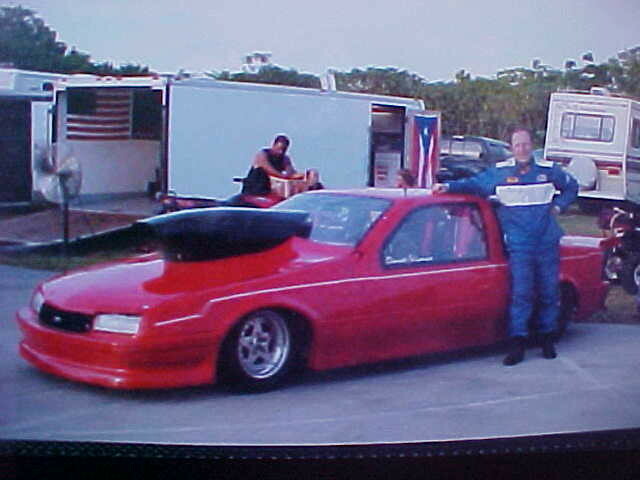 Miss racing those cars, the Camaro was not as stable as the Beretta as the Camaro was a back half car. The Beretta was a Don Ness pro built chrome moly chassis car with a fiberglass body. It only weighed 2240 with me in it. A picture taken by dave632, of gnome's T-Bird at the Smokey Mtn. Spring Nationals. Found an action shot of the Beretta, sorry only have the small shots of it. It would only pull the front wheels 3-4" on leaving the line which is actually what you want as it had a 1.07 60' time vs the Camaro's 1.25 but the Camaro was more spectacular. That is a quality upgrade no matter how you look at it. What I have found is the units are all the same....but the names on them are different. One of mine is a Mastech and the other one is something else, but they are identical in every way. Be sure and look around...Google...Ebay...etc. There are some good deals out there if you look and are willing to be patient. I have a switched power supply. I forget the difference between linear and switched, but the switched sounded like the way to go to me and they have both worked flawlessly. I've never used these(KXN-3020D) but have been watching them on ebay. Also, there are some videos on u-tube, concerning reviews and calibrating them. Basically a switched mode power supply is constantly turning on and off according to demand. It is the more complex of the 2 in operation and operates by switching the power on and off according to demand. The switch mode is more efficient than a linear. The linear is simpler but generally more expensive because of the transformers needed to power them. Then they are simply rectified and regulated. Best source is actually DC auto/industrial batteries which are pure DC and usually 500-1000 amps. You can really fry one of your cars on a battery if it is not fused properly and the car shorts out. I use two of the switched mode power supplies. Mainly because they are cheaper, I think mine were about 260 each. Even though many of these cars only draw less than an amp at the start the 2 30 amp power supplies still make a difference in performance. My cars, even stockers, are 1-4 hundredths slower on other tracks. That equals about 2-8 car lengths on the track. 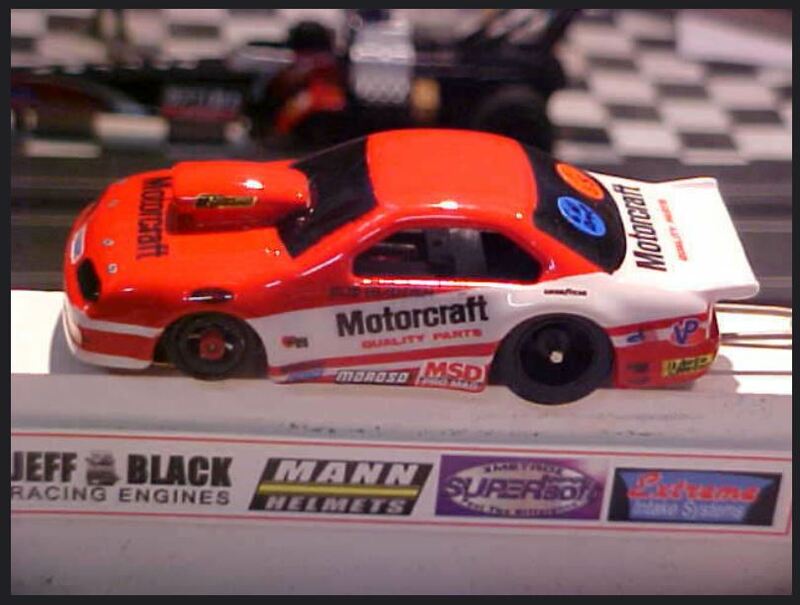 When 100+ mph slot car records are set they are using DC batteries with a lot of amps and on a constant charge to keep the voltage up to full capacity. I think you will see a big difference in the performance of your cars with a better power supply.